What is "fair housing" in today's market? Do you know who is protected by these laws? 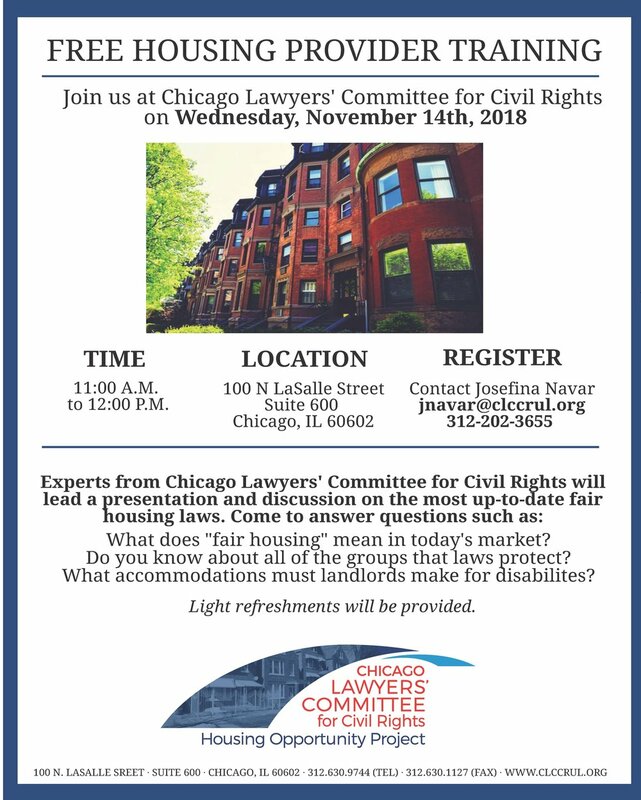 Join experts from Chicago Lawyers’ Committee for Civil Rights for a presentation and discussion on the most up-to-date fair housing laws. You are now registered for our Fair Housing Training on November 14, 2018 from 11:00am to 12:00pm at Chicago Lawyers’ Committee for Civil Rights (100 N. LaSalle, Ste. 600, Chicago IL 60606).